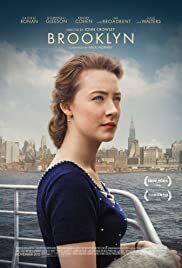 THE RECOMMENDATION: Much like Eilis (Saoirse Ronan), the movie Brooklyn is very quiet and reserved at times and incredibly chatty at others. It also similar to the differences between the calm peacefulness of Ireland and the bustling freneticism in New York. And there’s also Eilis’ internal struggle about freeing herself from a dead-end life in Ireland but also resistance to an entirely new and foreign world in Brooklyn. What’s important to know and realize about Brooklyn is that these are not three separate things, this is one film and all these parts balance each other out perfectly and in a compelling way. Other immigrant films have come before Brooklyn, and so have romantic comedies, struggles between old and new, and finding oneself. But there’s a certain unspeakable quality to Brooklyn, and in particular Eilis’ character that draws you in from the opening shots. You are introduced to the world through a hectic grocery store and immediately connect and relate to Eilis. From there, it’s following her journey from beginning to end, and that journey takes you through many ups and downs, trials and tribulations, and at least one twist that I was not expecting in the least. It’s really a testament to Ronan’s acting that so much of her internal thoughts are translated through the screen. There is no voice over and even the letters she writes home to Ireland are mainly to recap events that happen, but it feels like you’re reading a book and reading Eilis’ thoughts during pivotal moments of her life. We see her feelings, more so than usual even with great acting. An example is an early shot where Eilis goes out with her friend Nancy (Eileen O’Higgins) and Nancy is asked to dance by George and Eilis stands there for a good thirty seconds. She’s happy for Nancy but also unhappy with her own life. Not because she doesn’t have someone to dance with, but unhappy more because she feels lost in life and is both excited and nervous about her upcoming move to America. Brookyln is perhaps the subtlest of this year’s crop of Best Picture nominees and that subtlety is one reason why it probably won’t nab the win. It isn’t my favorite of the bunch — Spotlight and The Big Short are in a dead heat for that spot — but it was one of the most enjoyable. I’m also not expecting a win for Saoirse Ronan in the Best Actress category (Brie Larson seems to have that locked up for Room), but her performance is certainly standout and deserving of recognition.